Inside Edge Golf owns and operates the Service. 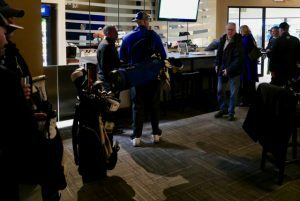 Inside Edge Golf is a Minnesota limited liability company with its principal location in Eden Prairie, Minnesota, U.S.A.
You are not required to register to use the Service, however some features of the Service are only available to registered users. To register you will need to create a profile, which includes an email address, a user name, and a birthdate. If you purchase items, we collect shipping addresses.Inside Edge Golf may also collect non-personal information on how users use the Service using automatic data collection methods such as cookies, or via web log files and user IP addresses (“Usage Information”). We use your Personal Information to maintain your user account and operate the Service. This information will also be provided to our third-party technology contractors as necessary to operate the Service, such as companies which host servers or data for the Service. We use third-party intermediaries to manage credit card processing. We will collect your billing address and credit card information (“Billing Information”), and such Billing Information will be used by our third-party intermediary to process your product purchases or other financial transactions. Our third-party intermediaries are not permitted to store your Billing Information. We offer you the option to store your Billing Information on our servers for your convenience, in which case we will follow the same data security procedures we use for Personal Information. Users are responsible for maintaining the confidentiality and security of their usernames and passwords. The safety and security of your information also depends on you. Where you have chosen a password for access to certain parts of our Website, you are responsible for keeping this password confidential. Unfortunately, the transmission of information via the internet is not completely secure. Although we do our best to protect your Personal Information, we cannot guarantee the security of your personal information transmitted to our Website. Any transmission of personal information is at your own risk. We are not responsible for the circumvention of any privacy settings or security measure contained on the Website. The Service is not intended for use by children under the age of 13. We will not knowingly collect any Personal Information from users under the age of 13 online through this Service. If you think that we have collected Personal Information from a visitor under the age of 13, please contact us. Any merchandise identified on the Service as appropriate for use by children under the age of 18 is offered for purchase only to Users who are 18 years of age or older. Parents or guardians may create a profile for use by their teenage child but use of such profile should be supervised by the parent or guardian. Intellectual Property Rights The Website and its entire contents, features and functionality (including but not limited to all information, software, text, displays, images, video and audio, and the design, selection and arrangement thereof), are owned by the Company, its licensors or other providers of such material and are protected by United States and international copyright, trademark, patent, trade secret and other intellectual property or proprietary rights laws. The Company name, Inside Edge Golf, the Company logo and all related names, logos, product and service names, designs and slogans are trademarks of the Company or its affiliates or licensors. You must not use such marks without the prior written permission of the Company. All other names, logos, product and service names, designs and slogans on this Website are the trademarks of their respective owners. • To impersonate or attempt to impersonate the Company, a Company employee, another user or any other person or entity including, without limitation, by using e-mail addresses associated with any of the foregoing. • Your order is an offer to buy all products and services listed in your order. All orders must be accepted by us or we will not be obligated to sell the products or services to you. We may choose not to accept orders at our sole discretion, even after we send you a confirmation email with your order number and details of the items you have ordered. • All prices, discounts, and promotions posted on this Website are subject to change without notice. The price charged for a product or service will be the price in effect at the time the order is placed and will be set out in your order confirmation email. Price increases will only apply to orders placed after such changes. Posted prices do not include taxes or charges for shipping and handling. An estimate of applicable taxes for the order and the appropriate shipping charges will be added as separate line items to your merchandise total, your shopping cart, and in your order confirmation email. We strive to display accurate price information, however we may, on occasion, make inadvertent typographical errors, inaccuracies, or omissions related to pricing and availability. We reserve the right to correct any errors, inaccuracies, or omissions at any time and to cancel any orders arising from such occurrences. • Terms of payment are within our sole discretion and payment must be received by us before our acceptance of an order. We use third party processors to accept payment for all purchases. You represent and warrant that (1) the credit card information you supply to us is true, correct and complete, (2) you are duly authorized to use such credit card for the purchase, (3) charges incurred by you will be honored by your credit card company, and (4) you will pay charges incurred by you at the posted prices, including shipping and handling charges and all applicable taxes, if any, regardless of the amount quoted on the Website at the time of your order. • Title and risk of loss pass to you upon transfer of the products to the carrier. Shipping and delivery dates are estimates only and cannot be guaranteed. We are not liable for any delays in shipments. • We do not manufacture or control any of the products or services offered on our Website. The availability of products or services through our Website does not indicate an affiliation with or endorsement of any product, service or manufacturer. Accordingly, we do not provide any warranties with respect to the products or services offered on our Website. However, the products and services offered on our Website are covered by any applicable manufacturer’s warranties. To obtain warranty service for defective products, please follow the instructions included in the manufacturer’s warranty. • YOU AFFIRM THAT WE SHALL NOT BE LIABLE, UNDER ANY CIRCUMSTANCES, FOR ANY BREACH OF WARRANTY CLAIMS OR FOR ANY DAMAGES ARISING OUT OF THE MANUFACTURER’S FAILURE TO HONOR ITS WARRANTY OBLIGATIONS TO YOU. • We accept returns for only unused products sold on the Website within thirty (30) days of original purchase. Services sold on the Website may be exchanged for store credit within ninety (90) days of original purchase. Services which have been completed are final sale and cannot be returned or exchanged. Refunds will be given in the same form of payment originally used for purchase. Your refund will include the cost of the item and any applicable sales tax. Shipping and handling charges are non-refundable. Requests for exchanges or refunds for products received as a gift must be accompanied by a receipt or a Inside Edge Golf order number. Contact customer service at golf@InsideEdgeGolf.com to arrange for a return authorization and a return shipping label. • You represent and warrant that you are buying products and services from the Website for your own personal or household use only, and not for resale or export. You further represent and warrant that all purchases are intended for final delivery to locations within the US. 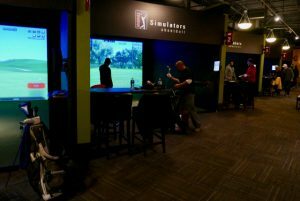 This website is operated by Inside Edge Golf, , 16514 W 78th Street, Eden Prairie, MN 55346. All other feedback, comments, requests for technical support and other communications relating to the Website should be directed to: golf@InsideEdgeGolf.com. We accept returns within 24 hours of original purchase for items sold on Inside Edge Golf. Items which have been shipped are final sale and cannot be returned or exchanged. If you are unsure about your ability to return an item, email golf@InsideEdgeGolf.com for more information. Refunds will be given in the same form of payment originally used for purchase. Your refund will include the cost of the item and any applicable sales tax. Shipping and handling charges are non-refundable. Copyright © 2018 by Inside Edge Golf. All rights reserved.